Astrology can no longer afford to be a process of subjective summarizing, comfort zone counseling, or selective application of rules to see the known facts of life in the charts of famous people. The need is a scientific approach which is precise and mathematical. First we need to state the axioms and hypothetical rules; apply the same to several charts and establish the percentage of success using statistical methodology of sampling selection and a reverse check control group. 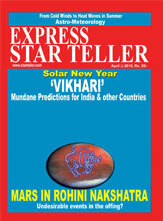 That way only Jyotish can be seen as a statistical science. In recent times, the majority of parents, having teenage children, have come to consult me on the future of their children. The main question is 1. Will my son/daughter go abroad for studies/employment? 2. If so, will he/ she settle there permanently or it would be only a temporary stay? An astrologer can say whether the native would be blessed with a child in the near future or delayed or denied, through so many ways, which are explained in astrological classics. 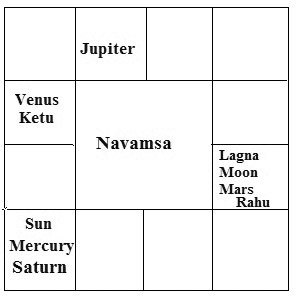 Analyze mainly the 5th house/ bhava from Lagna/Moon of a natal chart, 5th lord, strength of Lagna lord, Jupiter, Bheeja Sphuta (for male), Kshetra Sphuta (for female) and aspects on it. From Dasa/Bhukti and Gochara, the period of child birth can be assessed. 1. Rasi is considered the Tree, the Nakshatras the roots and the Navamsa the fruits. It may be a Mango tree, but if the roots are sick, it may not yield fruits. A healthy tree, even if it has good roots, may be sterile. The Navamsa is indicative of such a situation existing. Study of these three charts is mandatory, before finalizing a synthesized prediction. 2. Any Graha or Bhava is not totally malefic or totally beneficial. They could be malefic for some of the Kaarakatwas and beneficial for some others and neutral to some. 3. It is well known that no single rule of astrology should lead to a conclusion. An accurate prediction is a result of the art of synthesizing of several scientific astrological rules that are found applicable in a chart. 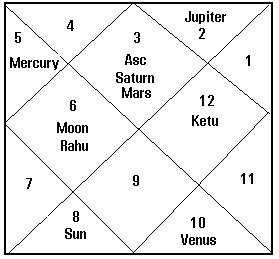 The more the numbers of rules applied in a chart, the more confident the astrologer would be to give a positive prediction. 1a. 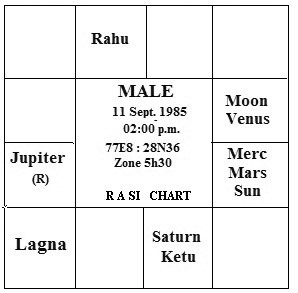 Rahu, Mercury and Jupiter are the Grahas, related to foreign opportunity. 1b. 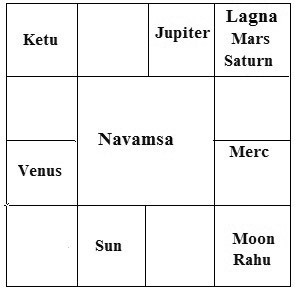 The Lagna, seventh, ninth and twelfth Bhavas are related to foreign. 1c. If the Kaaraka Grahas are inter-related or related to the relevant Bhavas, there is indication of such an opportunity. 1d. 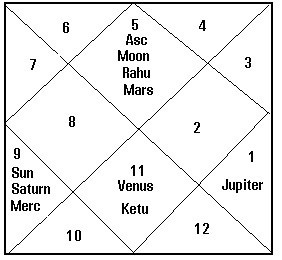 If the planets in the relevant Bhavas inter-relate with the 1st , 7th , 9th , 12th Bhavas, there is such an opportunity. 1e .If there are no planets in the relevant Bhavas, the lords of the Bhavas have to be taken into consideration. 1f. If there is any kind of inter-relationship between the four Bhavas mentioned, there is such an opportunity. 2b. If there is relationship between the ninth and/or twelfth Bhava/signs with the fourth Bhava/sign, there is the possibility of settling abroad. Conclusion:The person has every chance of going abroad. The travel would be related to professional opportunity and companion/associate may be helpful for this. (Mercury lord of 7,10) The affliction of fourth house indicates permanent settlement abroad. Facts: Though the parents did not have the means for sending the person abroad, he provided for himself. He secured foreign employment contacts. His college-mate girl friend, who secured a job abroad, provided free residence. Now he is married, has bought a flat and well settled in USA. 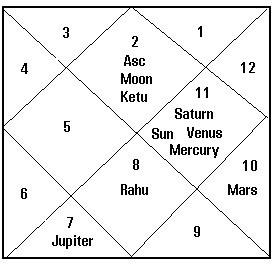 The travel took place in the period Mercury - Saturn- Rahu, in Dec 2011.Note the exalted Saturn is in Rahu-Ketu axis in the Nakshatra of Jupiter in Rasi and in the First in Navamsa. Jupiter is in the star of Jupiter, has an aspect on the twelfth. In the Navamsa, Jupiter has an aspect on the Twelfth. It receives the aspect of Mars, lord of the Ninth. 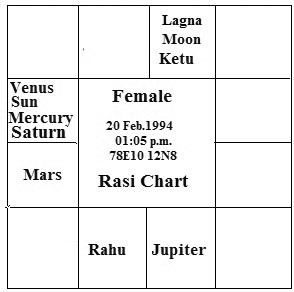 Rahu in the Rasi chart, has an aspect on the First; it is in the Nakshatra of Saturn, lord of the Ninth. It receives the aspect of Saturn, lord of the Ninth. Conclusion: The prediction is that the native will certainly go abroad, having a strong desire to do so. Education and profession abroad are indicated. Eventually, the person will settle down abroad. 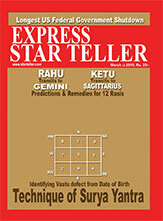 Jupiter Dasa has started and so travel may take place any time now. 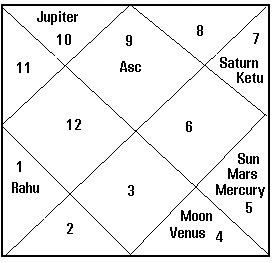 The bukthi of Saturn in Jupiter dasa starts in April 2020, when the most significant travel may take place. The bhukti of Mercury starts in October 2022, when the professional opportunity abroad will materialize. Once these predictions are fulfilled in the not very distant future, the facts will be given through the columns of this Esteemed Magazine. I may be wrong; I may be right; but I have no doubts. Jyotish colleagues can try their own research/experiments with these rules also. The ongoing research projects, with the assistance of my students in UK, France and Germany are: Early detection of Breast Cancer, Autism through System JAYA.